Founded in 1997, MJS Landscaping Services, LLC has grown to be a leader in the design and construction installation industry. Our quality, growth, and awards demonstrate our commitment to our clients and our industry. We are constantly striving to exceed our customer's expectations and push the creative envelope. The MJS design team provides you a customized approach to your landscape project based on your individual needs. Our talented crews are hard working, detailed oriented, and take pride in their work. 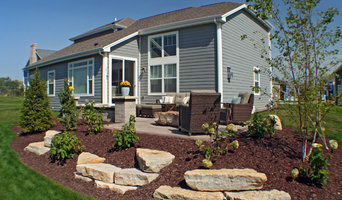 Waukesha County Award Winning Landscape Architects 4x Best of Houzz! For over 35 years, local homes and business have turned to us for award-winning landscape and design. Our friendly, family-owned and managed Milwaukee and Waukesha landscape company prides itself on designing unique, beautiful landscapes that add beauty and value. Trust our team of landscaping artists to bring your residential or commercial property to life with inspired designs that will transform how your property looks and feels. As a Milwaukee and Waukesha landscape company with decades of experience, we offer a full range landscape design, construction and maintenance services. 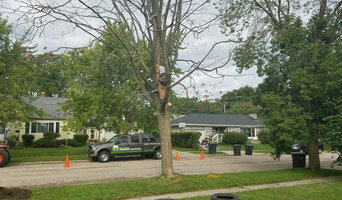 Your Personal Gardener is a fully insured tree and landscape firm, capable of taking care of all your individual needs through our professional first class service. We aim to achieve a well managed property that you can take pride in and enjoy! We have created a foundation that starts with professional and courteous service while striving to meet and exceed your expectations. Our goal is not to just earn your present day business but to maintain your business for a lifetime. Throughout each season our goal is to take care of all your outdoor and landscape needs. We are a full season landscape design, build, and maintenance firm. Through the use of continuing education Your Personal Gardener strives to stay at the forefront of landscaping to help give you the most professional and sound decisions in your upcoming projects. By utilizing UW-Extension courses, vendors, seminars, and gardening workshops, our employees at Your Personal Gardener are knowledgeable and up-to-date with the most current landscape and tree care practices. Our Mission To provide quality work that meets and exceeds each clients' expectations; while managing, maintaining, and designing landscapes that meet each person's own individual needs. Service Area Your Personal Gardener is located in Mukwonago, Wisconsin. YPG provides services for both residential and commercial properties across Southeastern Wisconsin. Full service landscape company providing everything from outdoor maintenance, weed control and fertilization to landscape design, construction, and installation. 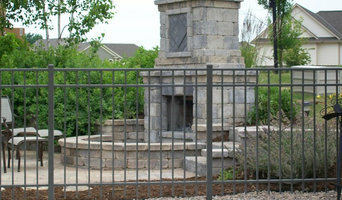 We strive to insure each and every one of our customers has the best landscape possible to meet there individual needs. We also take great pride in maintaining the landscape after it has been installed. Breckenridge Landscape is a full service landscape Design, Construction and Maintenance firm, specializing in hardscape and permeable paver installations. Our Mission is to deliver to our clients the best possible overall experience by focusing on Creative Detailed Design and Responsive Solution Based Service Our Values:Professionalism | Communication | Craftsmanship Professionalism: We pride ourselves in our professionalism. This includes our dress code, appearance of our vehicles and our conduct both on the jobsite and within the office. Beginning with the initial contact from a new client, to the first meeting with someone from our team to the design, estimate & installation and the finishes with the follow through. Everyone representing Breckenridge Landscape, maintains an attitude of professionalism at all times. Communication: We have a defined process for communication with clients and among ourselves. Every representative of Breckenridge Landscape makes communicating with the client a priority. Keeping the client informed of the progress on a design or estimate, the project start date or scheduled completion timeline and any changes to the design, agreement or any challenges that may arise, is the essence of our company culture. Communication between service representatives, supervisors and installation crews is also an established part of how we do business, to ensure each client has the best possible experience. Craftsmanship: Every Design, Construction and Maintenance project is a reflection of Breckenridge Landscape and its culture. Every design we create, every project we install and every property we maintain is an advertisement for the type of work we are capable of. Details are the cornerstone of every great project and part of our culture is the attention to detail that our clients have come to expect from us. Every designer, service representative and installer takes pride in the craftsmanship of their trade. “Good enough” is not an option. Founded by Charles Hawks Sr., the Hawks Nursery Company has been servicing the Milwaukee area since 1875. We are proud of our historical roots and the evolution that has integrated our services to meet the needs of the industry and, more importantly, our community. Become part of the Hawks family and help beautify our community one landscape at a time. • The award winning Landscape Design and Construction division of Hawks Nursery handles projects of all sizes, both commercial and residential. • Our award winning Landscape Maintenance division is equipped to handle accounts of all sizes, both residential and commercial. Lake City Landscape, LLC is a new and fresh landscape design and contracting company who is led by a designer who has been designing beautiful landscapes since 1999. As a graduate of the UW-Milwaukee Architecture program, his unique and fresh perspective on design carries through every project. His resume and portfolio confirm a skilled approach to landscape design. His designs are creative, dynamic and detailed and his projects have earned several awards. He has also had several projects featured in local and national publications. He attributes much of his success to his past clients. Without their trust and vision, he wouldn’t have the wonderful portfolio he has today. “My goal with every project is to provide each client with the best possible design for their property in an artistic manor to match their needs and dreams”. Lake City Landscape, LLC is passionate about exceeding our client’s expectations, creating beautiful landscapes and unlocking the true potential of every project. .
We are big enough to handle any job, but small enough to provide personal service. Don't take our word for it- hear why our clients choose to work with us by clicking on the Facebook link and then the Videos tab. Greenhaven is a family-owned national award winning residential landscape design, installation, and maintenance company serving the northern Chicagoland area. We are relationship-focused professionals who genuinely love what we do. By listening to you, responding to your home’s architecture, and being respectful of your site’s unique assets and challenges; Jennifer Hoxsie creates extraordinary outdoor environments that are a joy to experience throughout the seasons. During installation and maintenance, David Hoxsie has an unmatched commitment to excellence and attention to detail. Throughout our relationship with you, we learn your preferences, earn your trust, and engage in a long-term relationship with you and your landscape. Landscape Master L.L.C. is dedicated to providing customers the latest products at a fair price. We use a multitude of vendors to offer a wide product selection at a competitive price. Our methods of installation are tried and true. We are an insured contractor who stands behind our work. From start to finish we appreciate ideas. We are open to as much, or little, input you want to give throughout the process. Our goal is to make your ideas a reality. Krügel Cobbles, was founded by Hans Hirsch in 1982 with a pick-up truck, a borrowed trailer and one idea: To give clients a beautiful finished product of the highest quality while providing tremendous personal attention and outstanding service. While stationed in Europe, Hans marveled at the superb craftsmanship of brick & cobblestone streets. As he drove the North Shore he could not help feeling that something was missing. That something was the charm, brick pavers he had seen on the driveways of Germany. From humble beginnings installing pavers, Krügel Cobbles diversified its services to include masonry and stonework, adding a wide range of product installations including; Patios, driveways, walkways, retaining walls, stoops, fireplaces, fire pits, pool decks, seat walls, and roof decks; utilizing a variety of of materials including:concrete pavers, natural stone, bluestone, limestone, clay pavers and brick. "We are not so interested in bigger and faster, but we pay a lot of attention to better." says Jon Hirsch Sales Manager and Chief Operating Officer. At Createscape we will handle all of your outdoor needs season after season: from mowing the lawn, to weeding your garden, to shoveling after a blizzard and removing the snow (we can even design and build you your dream pond right in your own backyard!). We provide complete landscape design, construction, renovation and maintenance services and have since 1993. Let us work with you to create an outdoor living space that reflects your personality and compliments your home. Sheldon Landscape is your Lake Geneva, Wisconsin area's local source for maintaining, designing and constructing landscape environments since 1979. Our full service outdoor living approach provides landscape and lawn maintenance, landscape architecture, garden design services, construction, including irrigation and outdoor lighting for your home or business. Sheldon’s highly experienced and knowledgeable staff of landscape designers and landscape architects, landscape construction contractor specialists, lake erosion experts, horticulturists, certified landscape technicians, arborists and plant health care professionals use the latest in technology, techniques and green practices to provide the attention to detail you desire. The staff is dedicated to manage your property knowing exactly when to perform each service, exceeding expectations. Sheldon Landscape is dedicated to provide you the quality service you desire. We are proud of the long term relationships we have nurtured and being part of the Schmechtig Landscapes family of companies. LandWorks is an award winning and respected full service landscape company serving all of Southeastern Wisconsin. Member of American Society of Landscape Architects and Wisconsin Landscape Contractor's Association. We have an eight person landscape architecture / design team. We also have nine client service horticulturists. LandWorks typically runs around 20 landscape installation crews and 20 landscape maintenance crews when we are in peak season. What does a Waukesha landscape contractor do? Landscaping contractors execute lawn, garden and hardscaping plans that have been drawn up by an architect or designer. They may also provide design services on their own. After the everything has been installed, landscape companies can make adjustments, maintain plantings, take care of weeds and pests, and perform other tasks to keep the scheme looking its best. A licensed Wisconsin landscaper should have detailed knowledge of Waukesha, WI weather and climate trends and conditions, and can choose plants and materials that are well suited to the area. Residential landscape companies in Waukesha, WI also handle many of the same general duties as builders, including arranging for construction permits, hiring subcontractors and making sure that designs comply with Wisconsin building codes. Find Waukesha landscaping services on Houzz. 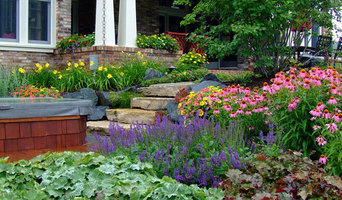 Narrow your search in the Professionals section of the website to Waukesha, WI landscape contractors. You may also look through photos of Wisconsin landscapes to find one you like, then contact the landscaping company in Waukesha, WI who worked on it.